In a bid to eradicate poverty and promote development in Africa the Japanese Government assured African countries that it would not cease its commitment to assist Africa. Japanese Prime Minister, Shinzo Abe said this in a press statement he issued ahead of the Fifth Tokyo International Conference on African Development (TICAD V). According to Abe, Japan recognizes the need to contribute on development at a global level and cooperate with international partners. “It is my sincere hope that a more dynamic and resilient Japanese economy can bring significant benefits in Africa and beyond,” said Abe. In his statement, Abe said that Japan has a unique perspective on poverty reduction and development for a variety of reasons, not least because of the lessons it learned from its own path to modernization, a development which Japan want to teach African countries. “A lack of Natural Resources prompted a focus on our most important resource, our people, growth is not simply fueled by natural resources but it is spurred and sustained by people through skills, education, training, innovation and social cohesion ,” Abe said. He added that Japan’s model seeks to ensure that individuals feel empowered and proud of the contribution they make to society. “This includes a particular focus on young people and women who, when provided with necessary education, will be empowered to transform political and social systems,” Abe explained. The PM said Japan’s commitment to Africa and the TICAD is a primary example of this approach. Japan has a strong record of development assistance through bilateral and multilateral channels in Africa. This year Japan pledged a further US$550 million toward stability, peace and development in Africa. 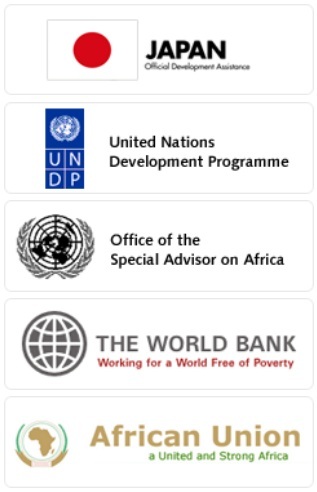 The Conference which started on Saturday, June 1, 2013 in Tokyo and in its 20th year is jointly organized by the government of Japan, the African Union Commission, the United Nations, the U.N Development Program and World Bank. It brings together development partners, donor countries, private companies and non-governmental organizations to discuss development issues in Africa. 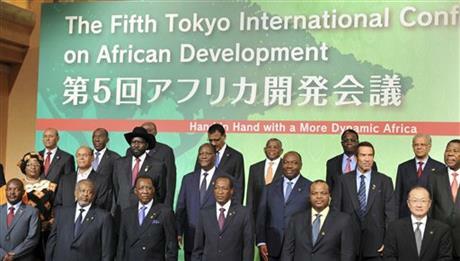 The fifth Tokyo International Conference on African Development finished its three-day meeting in Yokohama on Monday. The TICAD, held every five years, was started in 1993 at the initiative of Japan as a forum for African leaders to discuss Africa’s economic development and the shape of assistance to the continent. 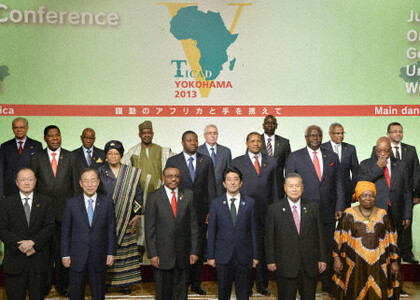 Some 50 African leaders attended this year’s conference, as did Prime Minister Shinzo Abe. Africa is rich in energy resources and rare metals needed for high-tech products. Many African countries have enjoyed strong economic growth in recent years and their middle classes are growing. But poverty and famine remain major problems on the continent. In the past several years, sub-Saharan Africa has been growing 5 to 6 percent annually. Per capita gross domestic product for combined Africa increased from $492 in 2000 to $1,189 in 2010 and the continent’s population is expected to reach 2 billion in 2050. Japan must play a constructive role and ensure that Africa gets the right balance of private investment and government development assistance. The main purpose of the latter should be to reduce poverty. At the outset of the conference, Mr. Abe said that Japan will provide ¥3.2 trillion funds to Africa over the next five years, including about ¥1.4 trillion in official development assistance and ¥1.6 trillion from other public and private funds, and that Japan will underwrite up to ¥200 billion in trade insurance. His statement represents Japan’s attempt to counter China, which has greatly increased its economic and trade presence in Africa. China started expanding trade with Africa around 2005. Its trade with Africa amounted to about $200 billion in 2012, a 20-fold increase from 2000. In contrast, Japan’s trade with Africa stood at only about $28 billion in 2011. Tokyo should make serious efforts to increase trade and investment in Africa. But it cannot follow the same path as Beijing, which has been able to make substantial investments in the continent using funds from both its public and private sectors. Japan should work out assistance programs that incorporate its advanced technologies and human resources development. Such an approach will help strengthening relations between Japan and African countries. It is also important for Japan to help improve the continent’s poor infrastructure. Mr. Abe has pledged ¥650 billion for developing African infrastructure over the next five years. High economic growth alone will not solve Africa’s problems. Japan should focus on helping African nations achieve balanced economic growth to ensure that the gap between rich and poor will not widen too much and sow the seeds of unrest and terrorism. Companies doing business in many parts of Africa are forced to deal with political instability, high crime rates and corruption in both the private and public sectors. While such problems have many complex causes, Japan should provide assistance aimed at governance when possible. It also should seek free trade agreements or economic partnership agreements with individual African countries. On June 3, 2013, the Fifth Tokyo International Conference on African Development (TICAD V), which started on June 1, came to close. 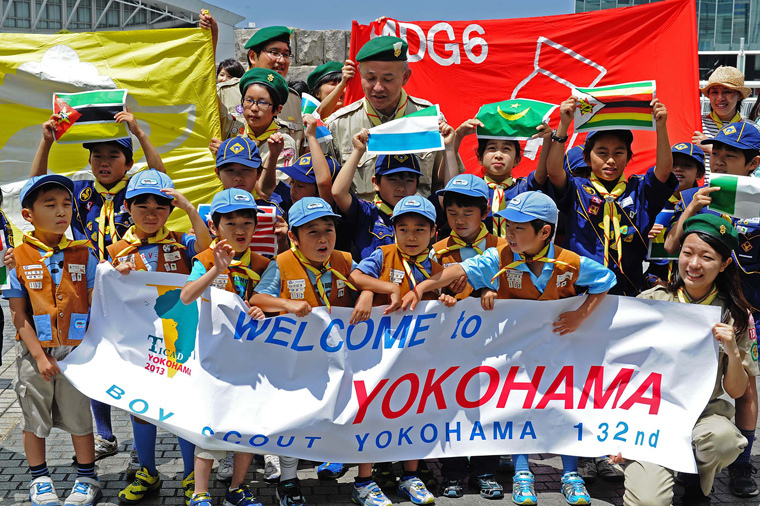 The “Yokohama Declaration 2013” and the “Yokohama Action Plan 2013-2017” were adopted as a result of the conference. 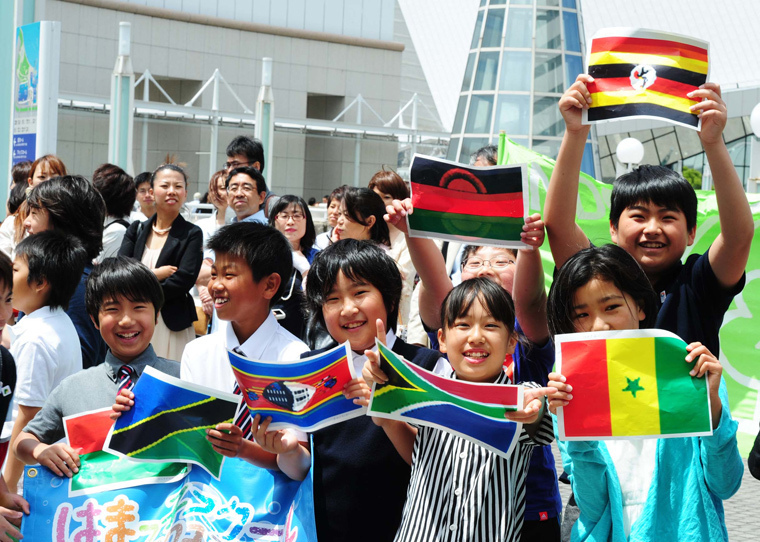 From May 31 to June 3, 19 seminars on the theme: “Inclusive and Dynamic Development in Africa” were held by JICA as an official event of TICAD V. JICA will further its support to Africa based on Japan’s assistance package announced by Government of Japan during the conference. (6) consolidating peace, stability and good governance. Participants of TICAD V including African nations and other partners agreed to aim at the realization of these goals through joint and concerted actions. JICA will contribute to the assistance package of TICAD V such as financial support in total of 6.5 billion USD to accelerate infrastructure development, strengthening of human resources by training 30,000 African people for industrial development, improving the learning environment for 20 million African children through mathematics and science education and primary school management, and to increase agricultural production and productivity, especially for rice cultivation, and to promote a “farming as business” approach for 50,000 small farmers. From May 31 to June 3, JICA held 19 seminars as official events of TICAD V on inclusive and dynamic development in Africa. There were lively discussions in the seminars on how to realize effective responses concerning industrial development, promotion of trade and investment, as well as other challenges such as employment, health, education, peace and stability, environmental issues, and others. On June 2, the second day of the conference, JICA organized a seminar series with the theme of “Economic Transformation of Africa” with the recognition that for Africa’s surging economy, the most important theme in order to promote sustainable development is to create employment for young people and develop human resources, as well as to diversify the economic structure by promoting industrial development. For the first theme of “industrial development”, the results of joint research undertaken through cooperation between the JICA Research Institute and Columbia University’s Initiative for Policy Dialogue (IPD) were presented by Nobel Laureate in economics, Professor Joseph Stiglitz and others. The second theme of “youth employment” was a panel discussion including three heads of state: Ali Bongo Ondimba, President of the Republic of Gabon, Jacob Zuma, President of the Republic of South Africa, and Jakaya Kikwete, President of the United Republic of Tanzania, in addition to panelists from the World Bank, the African Development Bank, and the Massachusetts Institute of Technology, in which JICA President Akihiko Tanaka also joined as a panelist. Following the discussions in the seminars, JICA Senior Vice President Hideaki Domichi announced JICA’s intention to make contributions to industrial development towards inclusive growth in Africa, in the next five years from TICAD V, with the emphasis on developing infrastructure, human resource for industrialization, education of mathematics and science, and market-oriented agriculture. JICA also hosted and co-hosted a variety of seminars throughout the TICAD V conference. In addition to the seminars described above, seminars with the following themes were also held actively to promote intellectual contributions to prospects and challenges in Africa, and a vision in order to lead the international discussion. The seminars’ themes were on higher education, public-private cooperation in promotion of investment, solution of development challenges and BOP business, south-south and triangular cooperation, universal health coverage (UHC), peace-building by local government, resilience under climate change, inclusive development and disabilities, corridor development, the role of development finance institutions, food security/promotion of rice production for agricultural development, challenges of African development leading up to 2050, empowerment of women, and sustainable forest management. 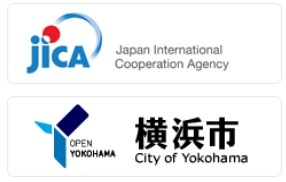 JICA, as the world’s largest bilateral cooperation agency, and as one of the major implementing entities of the “Yokohama declaration 2013″and the “Yokohama Action Plan 2013-2017” will continue to support inclusive and dynamic development in Africa by strengthening partnership with African governments and African Union, international organizations including the United Nations and the World Bank, the private sector and civil society. ← Chinese President meets leaders of Caribbean nations-Mexico and the U.S.